The Maine independent says while the Senate is making some progress addressing the partisan divide in Washington, he believes there is still work to be done. 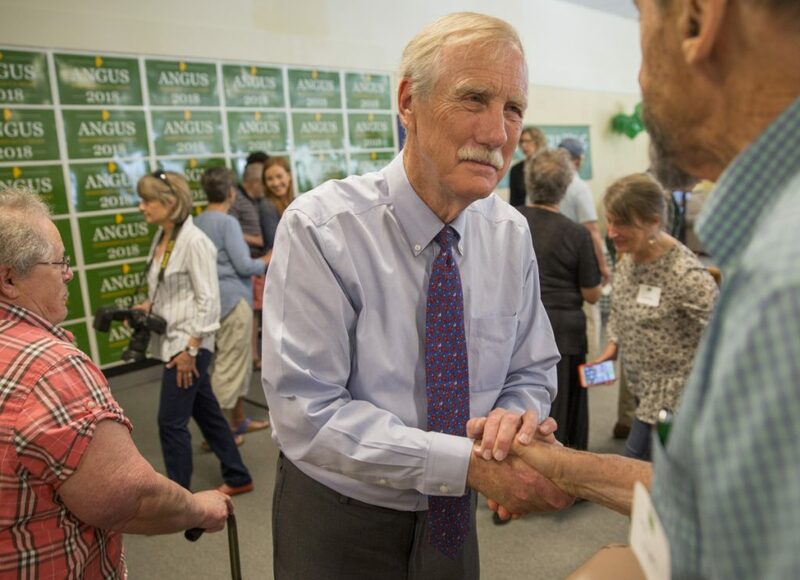 Six years after first running for Senate in hopes of helping bridge the partisan divide, King acknowledged the ongoing gridlock in Washington. But the independent said he has accomplished goals by building strong relationships on both sides of the aisle and that the atmosphere in D.C. is not as dire as it seems in the news. King was first elected in 2012 after Republican Sen. Olympia Snowe opted not to seek another term because of the increasingly toxic environment in Congress. A former two-term governor of Maine, King caucuses with the Democrats but is one of two independents in the Senate. King has maintained a high profile for a freshman lawmaker, in part because of his position as an independent in the closely divided Senate and because of his seats on closely watched committees. His seat on the Senate Intelligence Committee, in particular, means that King and fellow committee member Maine Republican Sen. Susan Collins are heavily involved in the classified review of Russian meddling in the 2016 presidential election. King launched his re-election campaign near his Brunswick home during an event filled with both longtime staffers and friends as well as young, college-aged supporters. He is expected to face off in November against Republican state Sen. Eric Brakey and Democrat Zak Ringelstein but is widely considered the favorite, given his statewide name recognition and strong approval ratings. A second Republican candidate, Max Linn, did not qualify for the June 12 primary ballot but continues to campaign despite election officials warning that votes for him will not count. 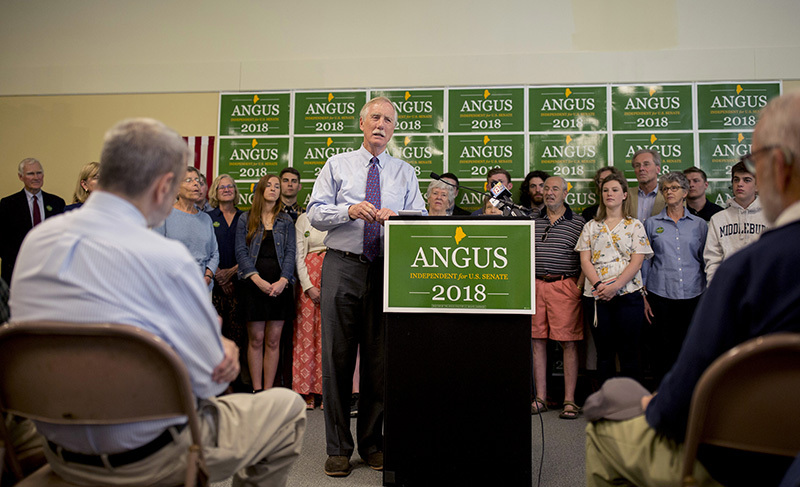 As in his previous campaign, King’s banners, signs and bumper stickers read simply “Angus – Independent for U.S. Senate” and his address was a mix of policy priorities, light-hearted anecdotes and quotes from Abraham Lincoln. If re-elected, King said, his priorities would include expanding broadband access in Maine, tackling the opioid crisis, supporting veterans, addressing Maine’s workforce needs and focusing on health care access and costs. He touted his votes to oppose Republican efforts to dismantle the Affordable Care Act and pledged to resist any effort to privatize health care services delivered to veterans. Asked about the anticipated Republican attacks on his political leanings, King said he finds that being an independent is “a valuable place to be in Washington” and that Republicans know they can work with him.